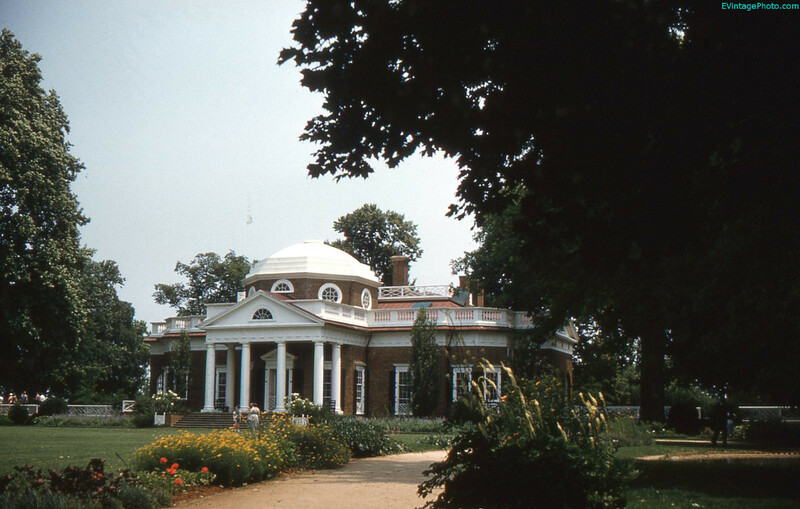 Thomas Jefferson’s Monticello was the United State’s third President’s home from roughly 1768 to his death in 1826. In between that time he had a number of important positions in not only forming the American Republic, but in it’s governance. Being the man he was, Jefferson continued remodeling the house his entire life, although it was considered “complete” in 1809 when his second term as President of the United Stated ended. 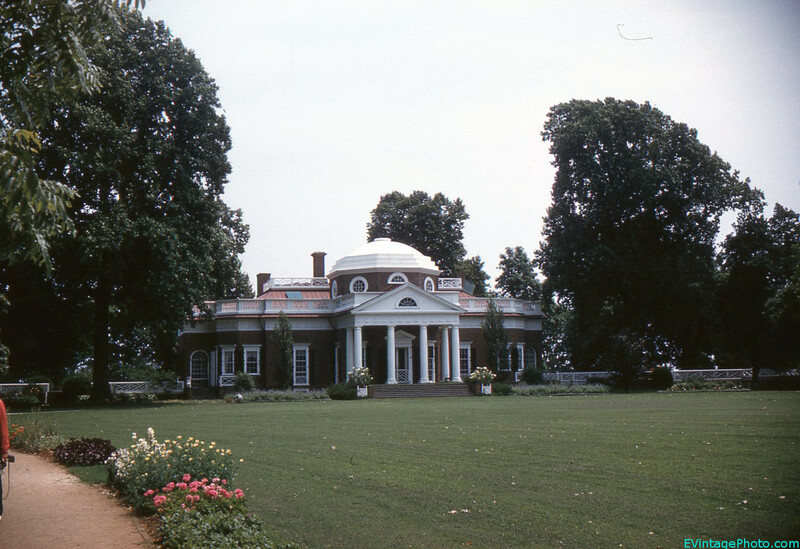 Thomas Jefferson’s Monticello is an architectural form designed by himself. He was heavily influenced by Classical Architecture and “modern,” 1784 modern, French architecture. The layout of the house is hard to describe, especially as the two pictures here only reveal the main part of the house from the front. A first floor contains rooms such as the brewery, ice house, and stables. All are hidden under the barely visible walkways on each side of the main house making the house appear more modest then it really is. The building contains many, many, many Jeffersonian touches. From the dumb waiter to the wine cellar, to the large clock in the main hallway, to his customized built in bed that adjoined study (really a library by today’s standards,) and bedroom, to the large scientific collections he maintained. We are extremely fortunate that the Levy family purchased the building in 1834, restored this building to it’s former glory, and continued to do so until the Thomas Jefferson Foundation was able to purchase it from Jefferson Monroe Levy in 1923.